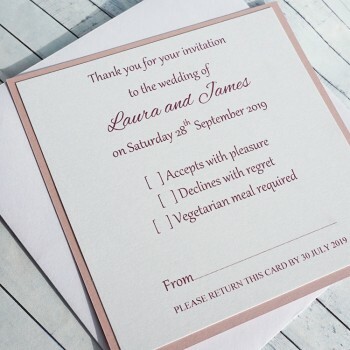 Handmade Wedding Reply Card or RSVP Cards "Iona"
Encourage a swift reply from your guests with a matching IONA REPLY CARD and also receive any information required concerning transport arrangements or dietary requirements. 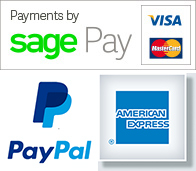 We will make your reply cards to match the colour and size of your wedding invitations. 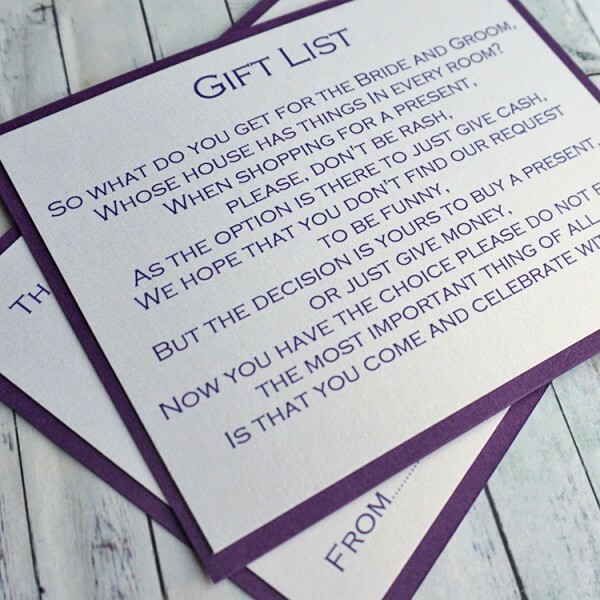 The cards are created on your choice of superb quality white, ivory or cream textured card and supplied with matching textured inserts and plain white envelopes. 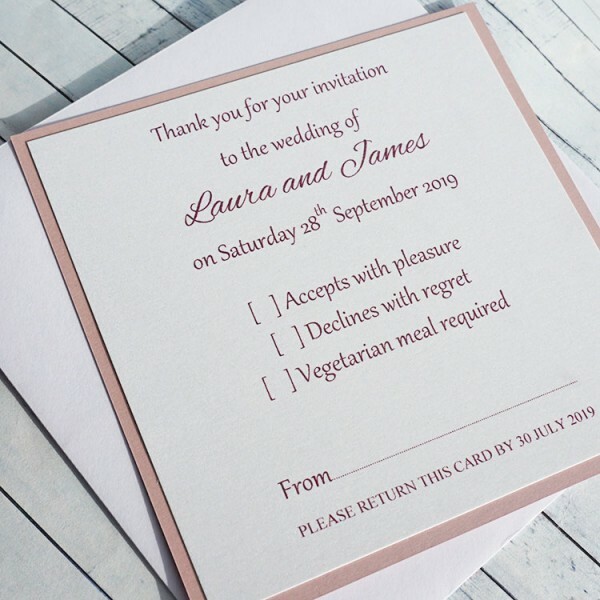 Handmade Personalised Wedding Invitations "Iona" The IONA design is stylish and contemporary .. Pink Handmade Wedding Invitations "Iona", also available in wide range of colours Our Iona We..